You are here: Home / The Basics / Soy – What is it Good for? Soy – What is it Good for? Soy – it is perhaps one of the most controversial and widely-debated foods. Scan the research and you’ll start to see why. You can find studies that say it’s great for you and others that say to stay away from it at all costs. Who’s right? Who’s wrong? What should we believe??? Soy is a legume, and is therefore NOT considered Paleo. The goal of the Paleo diet is to eliminate common allergens and toxins – and legumes such as soy fall into this category. By doing this elimination, we give our body (starting with the gut) time to heal. It no longer has to spend energy battling these toxins and can therefore start to repair itself. 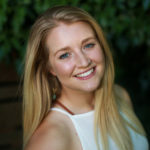 This is why it is not uncommon to hear people say that on a Paleo diet they feel better, their skin issues clear up, they have more energy than ever before, they lose weight, their brain fog is gone, etc. Just because soy is a legume doesn’t necessarily mean that it is inherently bad. The major problem with soy in the standard American diet is that the majority of it is consumed in processed form. This includes things like soy protein concentrates, hydrogenated soybean oil, and hydrolyzed vegetable protein. Chances are you could look at the ingredient list on any processed food package and see some sort of processed soy derivative. Not only is the soy highly processed, but it often contains other harmful compounds or the bad omega-6 fats. A high intake of omega 6 fatty acids has been definitively linked to inflammation and other associated health issues. As with other legumes, soy has a high phytic acid content. Phytic acid prevents the absorption of other nutrients like zinc, calcium, and iron and inhibits enzymes that are crucial for the proper digestion of the food we eat. Asian cultures are usually brought up when discussing soy and its health effects. 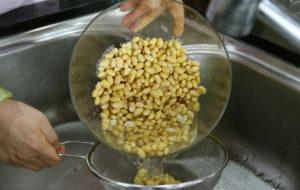 It is important to note that these cultures usually eat soy in a fermented or traditionally prepared form – like miso, tempeh, soy sauce, and natto. They also consume very nutrient-dense foods along with soy such as seaweed and nourishing broths. This is largely different from the way the majority of soy is consumed in the western world. Another highly controversial component of soy is a class of phytoestrogens called isoflavones. Soybeans are one of the highest sources of isoflavones in our diets. These components are structurally similar to estrogen and can exert a chemical effect on the body by mimicking estrogenic activity. In other words, soy isoflavones can bind to estrogen receptors in the body and either mimic estrogen or block the effects of it. High consumption of isoflavones have been linked to an increased risk for breast cancer, decreased bone density, and decreased fat loss. There are also claims that these isoflavones can be protective for breast cancer, prostate cancer, and menopausal symptoms, but the evidence for these claims is mixed, at best (1). The National Center for Complementary and Integrative Health actually recommends that females with known high risk for breast or estrogen-related cancers limit their soy intake (2). Soy has also been shown to affect an enzyme that is needed to create thyroid hormone. Research has determined, though, that this doesn’t necessarily increase the chance for hypothyroidism AS LONG AS adequate amounts of iodine are consumed as well (3). Sufficient dietary iodine intake isn’t a common problem in the United States. While the threat of soy harming the thyroid doesn’t seem to be a pertinent issue, it is something that should be considered. It is also worth mentioning that 90% of soy that is produced in the U.S. is genetically modified. Most often, soy as touted as a replacement for animal protein. In a 3.5 ounce serving of soybeans, 17 grams of protein can be found. This is less than the protein content found in animal sources, but greater than other plant-based proteins. The issue lies in the processing though. When soy is processed, it denatures the proteins and the quality decreases. It’s not hard to see why soy is so controversial. Quality studies conducted on humans and soy consumption is lacking. The research that has been done is inconsistent at best. Most researchers agree, though, that processed soy should be avoided as often as possible. One of the great things about the Paleo diet, in my opinion, is that it cuts out mostly all processed foods. By doing this, you’re already avoiding most refined soy sources. It is always important to remember that you need to make the Paleo diet work for you. If you do choose to consume soy, it is best to consume organic soy. Tempeh, miso, and natto are great choices because they are fermented and provide probiotic benefits. Do you eat soy? What are your thoughts? I’d love to hear your opinions below. 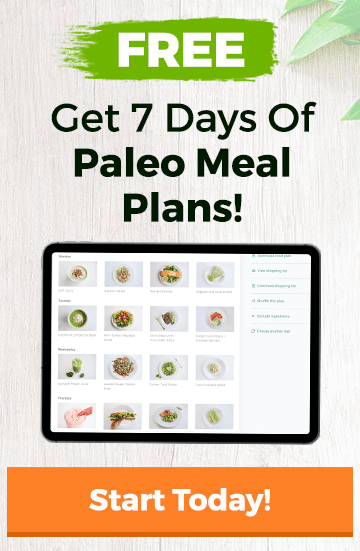 Be sure to download paleo.io – the #1 Paleo app on the market – to find out whether your favorite foods are paleo or not. Get a quick and simple explanation or dive deep into the reasons as to why certain foods are and are not considered paleo right from your phone.